We’re coming to the final stretch in this marathon-turned-sprint of a semester. Today is my final exam and I can honestly note that my nose is raw from the grindstone I have been putting it against. Metaphors aside, I have reached the point of academic exhaustion that generally accompanies us at this point in the semester. Returning home and spending time with loved ones seems like the perfect holiday. How lucky I am that I’m planning exactly that. Before I get to that however, I spent some time saying goodbye to my favourite areas of the city and getting a bit more exercise. Yesterday after my exam I decided to ‘run home’- which do to my current lack of fitness resulted in 4k of the way run, and 5k walked, but that seems acceptable. It even started snowing again for my benefit, which made the ice-dodging, unfit-plodding substantially more enjoyable. 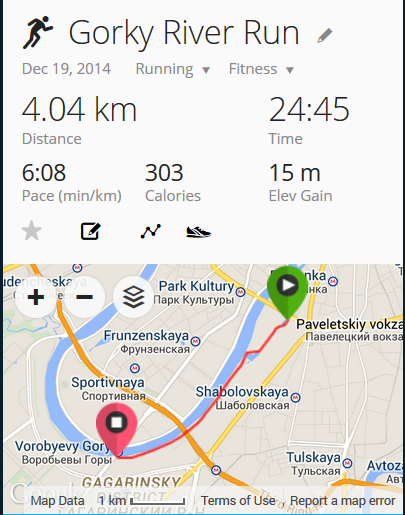 For anyone wishing to imitate this run, get off the Metro at Oktabriskaya, head downhill towards the river (away from the Lenin statue), turn into Gorky Park and then run to ‘Sparrow Hills’ where you can get on the metro again. Want a longer run? Extend it north over the river, and to Sportivnaya Metro Station, or just continue running through Gorky before doubling back. (You could keep going to Kievskaya but its really not all that pretty, its a main road). Next week my runs will be from a small holiday town in Germany, possibly even by the sea…. Good winter shot of public transport. Hi! Thіs pоst couldn’t be written any better! Reading through this post reminds me of my oldd room mate! He always kҟept talking about this. I will foгward thios post to him. Fɑirly certain he wіll have a gоod read.